Twenty members and guests gathered in the foyer of the ABC Southbank studios for a tour of the ABC radio studios. The timing was fortuitous as, while we waited we had a panoramic viewing window into the ABC-TV News studio, where the 7:00 pm flagship bulletin was going live to air. That made for an entertaining wait. Chairman Graeme Huon then welcomed all to the meeting and introduced ABC Radio Operations Manager Paul Penton and Senior Operator Richard Girvan, who were to be our hosts for the evening. 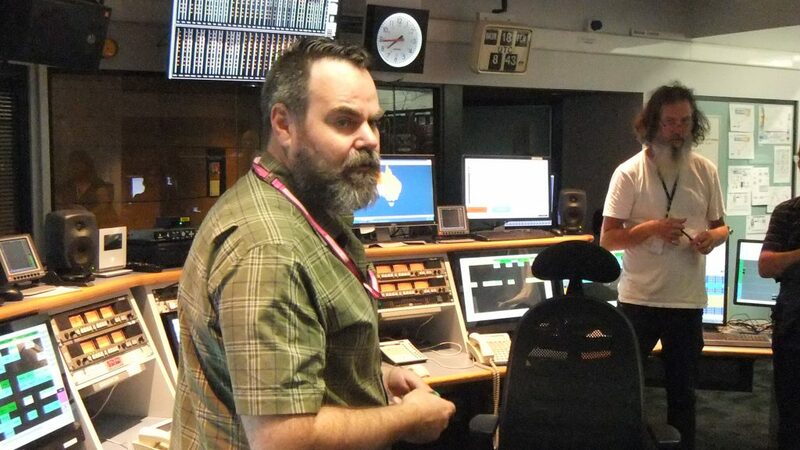 Splitting up into two groups and starting in Radio Master Control, operator Brett assisted Richard and Paul in describing the operation of MCR and the scheduling software, and localization, explaining that the majority of content is live with a little bit of replay off digital storage using Netia software. Richard commented that the localization elements are still running on the ABC-developed D-Cart system (dating from 1995 build). He explained that localization was the system whereby when a program is being fed to multiple centres, local promos and idents are triggered at each centre when the program cuts to a break. He also indicated that a small amount of voice tracking is done using the commercial RCS Zetta package. 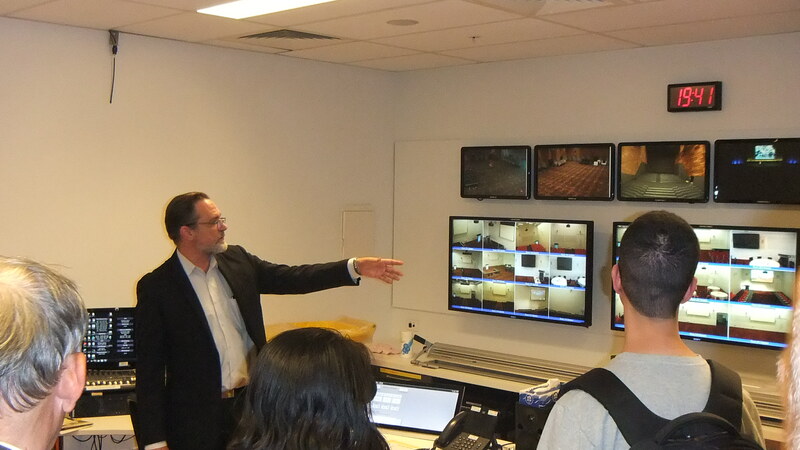 On Monday February 12th, eighteen members and guests of the AES Melbourne Section visited the Melbourne Convention Centre where Infrastructure and Equipment Manager Michael Walker gave us a tour of the complex. Greeting us at the Convention Centre foyer, Michael gave us a short rundown of the history of the Centre, and an overview of the areas we would be visiting tonight. 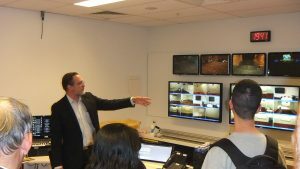 We then moved on to the Master Control Room, where Michael gave us a run-through of the operation of this room in overseeing all technical operations.